A warm & sunny Florida Lifestyle Awaits You! Picture Yourself.......sunny Central Florida; stretched Out pool Side, overlooking a Spring fed Lake, a new Home, new friends with the best.....it's really Affordable! Lakeside Estates Park at a glance! Lakeside Estates is a "resident only" Park. Neighbors are friendly home owners! Invite old friends & meet new friends in community best described as a very lovely & quaint place to live. Enjoy quiet nights, peaceful surroundings, warm weather, social events and a truly affordable lifestyle. Homes are quality built and priced to sell! Lakeside Estates Park is a lot "lease" community defined described as "a more affordable & professionally managed community without the need to spend an additional $30-50,000 for land. Once the homework is done; you'll agree this community is hands above lot owned communities. Compare our fees against HOA fees and forget about being "assessed" an untimely charge back for replacement of Park infrastructure. We worked hard to earn the moniker of "Lakeside Estates Park's efficient & professional management"! Its easy too since all our lot leases run year to year with an "automatic renewal" you decide otherwise. We continue to earn your patronage or chance losing your business! No better incentive ever existed. As a home owner at Lakeside Estates Park....you can take comfort in knowing your utilities are provided by the local municipality and individually metered meaning residents only pay for what they use and If you are a snow bird; its the best scenario to budget on! INCLUDED IN ALL LOW LOT FEES; are real state taxes, park insurance, lawn mowing of each residents lot, household trash removal, street lights & repairs, lakeside Pool & Spa, shuffle board court and much more! Come and see the Park and pick out your Florida home today! 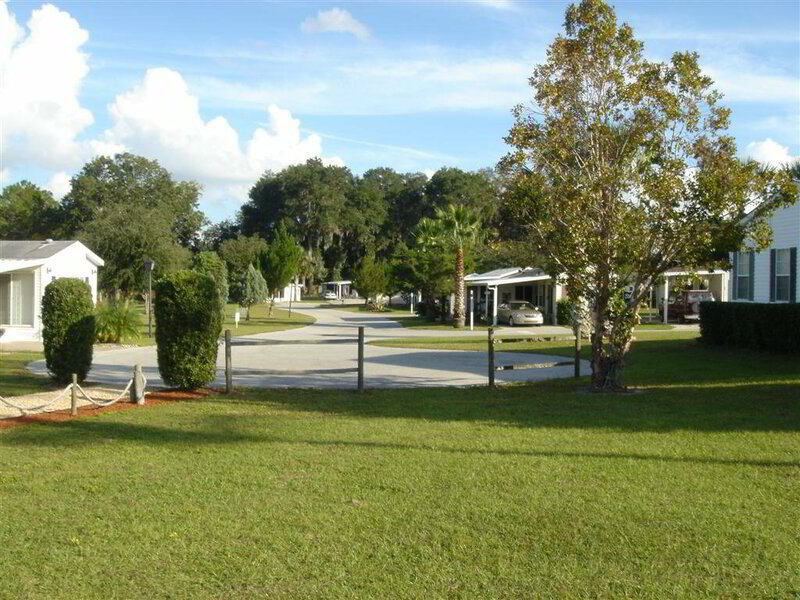 Lakeside Estates is a Manufactured Home Community nestled within very charming and picturesque communities in an area commonly known as "The Chain of Lakes". Any day is a good day for adventurous hops to MT Dora, Eustis, Leesburg and Taveres which are minutes from the Park. Enjoy the fabulous Lakeside Pool & whirlpool spa overlooking Lake Enola or play a game of on the shuffle board. There's also our spacious Community center with a fitness area, a book filled library, billiards tables and movie nights. Join the fun with your new neighbors in and around the community/entertainment center. Relaxation is defined as a nice bicycle ride or walk around the lakeside park with its quaint lamp post lighting. There's even all the fish you enjoy eating from a Fishing from the pier on the Lake. Yes, it's all here!